One Sunday I taught our preschool worship students the story about Jesus raising Lazarus. We played the game of unwrapping Lazarus, which was a game where I wrapped the each child in toilet paper then the other children would take off the toilet paper. As I got ready to teach this story, my mind started to think about the time I heard the story of Lazarus preached by Bud Bence. As he was preaching, he asked “Could you imagine what it was like when Lazarus came out of the grave?” As he talking about Lazarus coming out of the grave, he was acting it out too. In his sermon, Bud talked about what Lazarus smelled like because he was dead for four days. 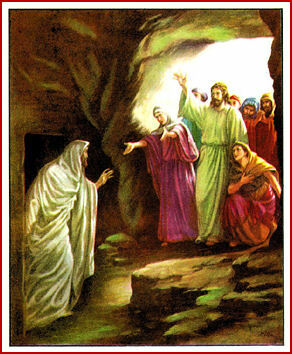 When Lazarus came out of the tomb, it would have been messy. Are we afraid to help those who don’t know Jesus because it might be messy? When I was planning to teach this story and thinking about the sermon, I thought what it was like to unwrap him. Not only did he smell but was there were decaying parts on his body. When you work with and help sinners you may have to peel back years of sin and that there might be some scars from their sinful life. It may not be always pretty what you find. When we see what is under the wrappings, we remember that God loved us when he saw what was under our wrappings before we were saved. I put a high premium on service. Since I’m not a particularly musical person, my concept of worship goes well beyond singing praise and worship songs; in fact, at times I may be more dismissive of this form of worship than I should be. I listen to myself and those around me sing songs of incredible commitment, making seemingly heartfelt promises — but how many of them will we actually keep? Yes, in some sense music helps us rest and revel in God’s presence, but too often we walk out of church and go our own selfish ways. I can find no verses in the New Testament in which Jesus commanded his disciples to sing songs for at least a half hour once a week, but I can hardly go two pages without coming across Jesus’ call to commitment, a call he applied and fulfilled in glorious fashion…We don’t turn this relationship on and off; it has to remain the tenor of our lives. I can’t ignore God for days on end and then get in front of a group and expect to rest in and rely on his empowering presence. But when my life becomes a prayer, when my service becomes an act of worship, when God-granted humility becomes my companion, then relying on God becomes the only thing I know how to do. There is no other way…when we work with God instead of for God, our sweat creates an intimacy. In fact, it becomes an act of adoration and worship. Gary Thomas – The Beautiful Fight: Surrendering to the Transforming Presence of God Every Day of Your Life. God is always bigger than what’s the matter. Wow, what a weekend. It started out with WinterJam on Friday night. Then a great time with the family yesterday and a great day with the church family today. It seems I have caught another cold and while I don’t feel bad, it’s just enough to notice. Worship was amazing today! The team was on-point. I am so thankful to the Holy Spirit for directing today’s service. What a blessing! Last night, we took a group of our teens to Roanoke, VA to attend WinterJam. For those of you who don’t know, this is a one night Christian music festival that cost just $10 to get in and uses festival seating, so first come, first served and when the arena is full, you are out! We left Staunton around 1:30 and arrived in Roanoke around 3 and stood outside for 3 hours. It was a lot of fun fellowshipping with the group. At about 5:45, they started to let us in and we found some good seats toward the back of the arena and it wasn’t long before pre-festival music started featuring Jason Castro, Chris August, Small Town Poets. Before Chris August, Pastors and Youth Pastors were invited to a special meeting where we received greetings from several of the artists who were performing last night. By the time I got back, Red had taken the stage. This is a pretty hard-rocking band – I don’t listen to much heavy music, so I really don’t have anything to compare it to. But the musicianship was good, albeit loud. KJ-52 had several stints during the night and provided transition music between the band. Newsong was next and did good job, singing mainly new songs. This led up to my favorite part of the night: Francesca Batestelli and David Crowder Band. These two did a great job – the volume was just about perfect. I was amazed how much Francesca’s songs sounded like the songs we hear on the radio and didn’t seem to catch much backing tracks if any. The David Crowder Band rocked with songs like “Here Is Our King,”, “There Is None Like You,” “How He Loves,” (My personal favorite of the set – interesting observation – Crowder’s music is full of difficult timings and some high notes and yet, you could hear the crowd singing along. The sound of 5,000 people singing “How He Loves” was amazing. They also did “O Praise Him” and finished with a bluegrass flavored medley of “I Saw the Light” and “I’ll Fly Away.” That was cool. After an intermission, Kutless began their set. The volume definitely came up a few db’s as they worked there way through a worship-music influenced set. Because of the volume, it made it difficult to sing along, plus unlike Crowder, they didn’t provide the lyrics on the screen. Finally the main act arrived on stage, The Newsboys. These guys love to put on a show and a show they put on. I don’t want to give it away for anyone who hasn’t seen the WinterJam show, but it was cool. Much more performance oriented than David Crowder. Can you tell who I really enjoyed? All that being said, The Newsboys did great and I enjoyed their great, albeit, way too short show. Overall I would give this WinterJam a grade of A. The mix for the most part was very good, but occasionally too loud. I’m not a fan of music that is over 95 dB’s. I’m really not certain why it has to go much above 105 dB’s but it does. The other thing that lessened the experiencedid not give a perfect score were the amount of commercials and heart rendering pleas. It was a great show and I look forward to next year’s version of WinterJam, hopefully in Charlottesville!